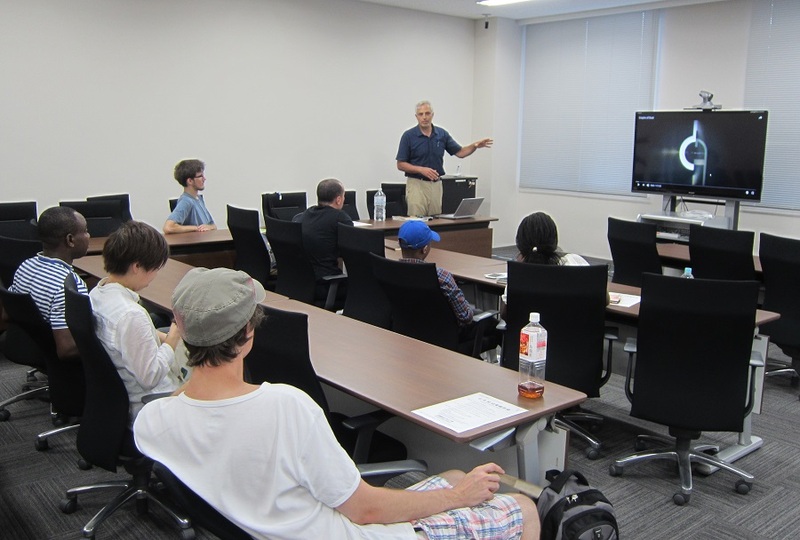 A documentary film event was held on Thursday, 2 August. Time: 17:30 P.M. - 19:45 P.M.
Africa, with its immense rich resources and young population, is rapidly attracting the attention of world’s most influential governments. China plays a major and significant role in Africa in trade, investment and aid. With hundreds of Billions of dollars are being invested in infrastructure in the form of “aid” to many African countries, the practices and policies inevitably would come under scrutiny. The Chinese government and private business from China are both involved heavily in conducting projects throughout Africa. The documentary film, Empire of Dust, tries to negate the complex web of aid, politics, transparency or lack of it, corruption, etc. By focusing on the case of a road construction in the DRC, Democratic Republic of the Congo, the film follows the project’s activities and people involved, to shed a light on China’s role in Africa. The Congo is considered one of the world’s richest in raw material of copper and cobalt reserves. China needs raw the raw material to keep driving on its manufacturing industry. In 2007, both the DRC and China struck a deal estimated to generate revenues between $40-$120 Billion. China pays for mining Congo’s natural resources of copper and cobalt by building infrastructure projects such as roads, hospitals, airports, schools and son on. Critics point to the lack of transparency in signing deals at such large scale. The project in this film is the construction of a road between the city of Kolwezi and the Katangan regional’s capital of Lubumbashi. Far from the capital, the region is located in the south east corner of the Congo, along the border of Zambia. It is not heavily populated, but it is abundant in natural resources. And in this remote and far region, the film shows the day-to-today encounters, discussions, attitudes, testing patience, interaction between the Chinese and the local Congolese. Throughout the film, one cannot escape the tension born out of misunderstanding, lack of cultural knowledge or trust between the Chinese and Congolese. Impractical high expectations of efficiency and hard work by the Chinese construction company, especially when operating deep into the heartland of the Congo. Yang complained of the lack of sense time among the Congolese. Another Chinese company staff expressed his frustration in saying, “we are developed so our social position is higher.” Blatant racism is clear. “How come you do not improve your country since Belgium left the Congo,” Yang asked his translator Eddy. “Look at the railway line. It is sitting still with no use. You did nothing about it.” These questions asked by Yang were not easy for Eddy as he tried to explain the history of colonial rule and subsequent politics after independent of the Congo. But Yang kept challenging Eddy that he knew more about the history of Congo than Eddy. Yang pointed out the lack of discipline or consistency to come to work by the Congolese worker. In the film, none of the Congolese workers appeared upbeat or smiling. Congolese workers are kept in crowded make-shift rooms at the project sites. “My room is small and we are four. These small rooms are slave labor,” commented one hired Congolese worker. In the discussion following the film, a number of African students exchanged views and provided interesting insights on their countries’ experience with development projects implemented by China. A student from South Africa said that this film focused on a case that portrays China’s aid in Africa in a negative way. China is outdoing the West in providing aid and infrastructure projects in Africa, he further commented. If the film focused on a positive project, then, the picture would reflect China in better terms, he explained. But, one student from Mali said that she could much relate to the film and the story. She elaborated that image of projects implemented by Chinese companies do not come across in Mali in a positive way. Implemented projects by China in Mali are not that high quality, she stressed. The same reaction expressed by a student from Zimbabwe. However, he said that the film carries “hard truths. It is painful.” In Algeria too, China is active in infrastructure projects. An Algerian student described the situation in Algeria that many people do not know enough about deals done with China. What are possible directions for the future or solutions? Lack of strong African leadership is sighted as a problem by African students participants. Many African governments do not know how to deal with big foreign countries like China, students said. That makes African leaders partly responsible for the situation. Another pointed out the need to strengthen the sense of community among local people. When a community is strong and organized, it can have a better chance in protecting its interest and environment. Unfortunately, local communities in Africa, in general, do not have a strong enough voice. That is why we need to strengthen civil society in African countries, said the student from Zimbabwe. Transparency is vital to understand what kind of deals are sealed between African governments and global influential governments. That is why Africa needs African institutions to protect local communities and the interests of different African countries. Also, long visions are necessary and must be explained to people at large. Finally, to prevent deep misunderstanding as displayed in the film, cultural exchange is necessary before sending foreign company employees to Africa. Exchange among people is important where individuals from different cultures meet and experiencing living together. Chinese company staff, in the case of the Congo for example, could’ve been invited to the Congo and live in the country beforehand. Understanding and fairness can indeed make a difference.